Hellboy's premier crime fighter in an all-new novel! Where greed and the occult walk hand in hand, where mobsters and monsters prowl the streets, none escape the justice of Lobster Johnson! In the years before World War II, Jonas Chapel was a respected physician, until his appetite for vice got the best of him and he found himself on the run from one of New York's most powerful mob bosses. On the lam in Mexico, Chapel stumbles across a powerful witch and a cursed skeleton -- and the power to transform men into monsters. Now, he's back in New York, selling his creations to the highest bidder. Only one man, backed by his team of trusted sidekicks, stands in his way. 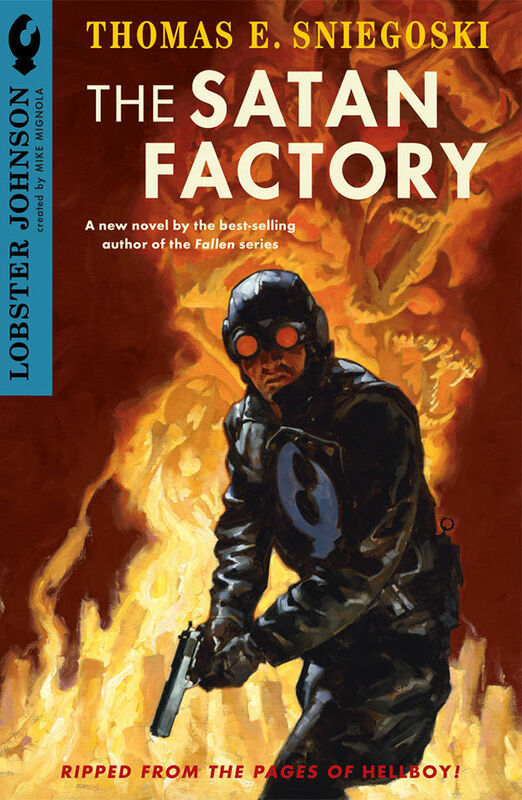 But will the Lobster's resolve be enough to shut down Chapel's twisted Satan Factory -- before New York itself is consumed? A new novel by the author of the top-rated ABC Family television miniseries Fallen. Format: B&W, 256 pages, Novel, 5 1/4" x 8"
Did anybody already read this (within the past eight years)? Thoughts / comments? Did Sniegoski do justice to The Lobster? I guess nobody did . . . or maybe can't remember that long ago? I never read it. They have a dusty copy at my LCS, but I never bothered. I actually read it back in the day (dutyful completist) but don't remember it anymore. It has a real nice quality compared to other paperbacks but is my least favourite Lobster story (the little I remember). I did finally buy and read this, and overall I liked it. I did feel the ending could have used a few more explanations (like how The Lobster was able to recover from some "changes"), but since we haven't/aren't getting any new Lobster Johnson comic book issues right now, it was a suitable way to fill that down time (at least for now). Besides, I'm really getting interested in reading old pulp-style fiction again with characters like The Shadow, Lady Domino, etc., so this fit nicely into that sort of thing. I'm going to give this one a gander on Kindle. Will do. I will take some notes as well while I read it and do a full write-up after; just no promises on when I will actually be able to tackle it. Life and stuff .